Catch the entire podcast series and download the ungated case study at the Vengreso website. 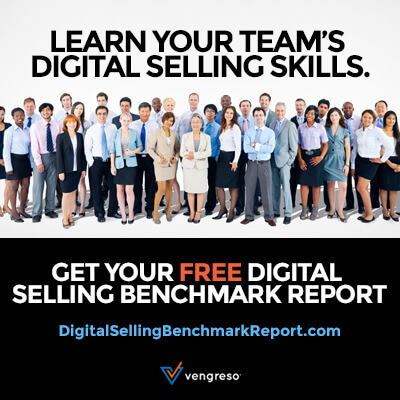 Vengreso, the digital sales transformation company, helps B2B companies reach the 90% of buyers that can’t be accessed through traditional outreach. We provide digital sales strategies, tactics and tools, including personal branding, social selling training, and content for sales. For more information visit vengreso.com. As market leader in enterprise application software, SAP helps companies of all sizes and industries run better. From back office to boardroom, warehouse to storefront, desktop to mobile device – SAP empowers people and organizations to work together more efficiently and use business insight more effectively to stay ahead of the competition. SAP applications and services enable more than 365,000 business and public-sector customers to operate profitably, adapt continuously, and grow sustainably. For more information, visit http://www.sap.com.